Cucumbers Cause Blood Sugar Levels to Rise? Eating cucumbers will cause your blood sugar levels to rise. This is because cucumbers contain carbohydrates, and all carbohydrate-containing foods increase your blood sugar levels. However, cucumbers contain a very small amount of carbohydrates per serving, so eating them will not cause your blood sugar to rise to a potentially unsafe level. Carbohydrates are found in a variety of foods including fruits, non-starchy vegetables, starchy vegetables, beans, lentils, legumes, grains, nuts, tofu, soy products and milk. Carbohydrates are also found in added sugars such as refined sugar, brown sugar, powdered sugar, honey, maple syrup, molasses and high-fructose corn syrup. Cucumbers are considered a non-starchy vegetable. In general, non-starchy vegetables contain very few carbohydrates. According to the American Diabetes Association, your blood glucose levels are affected by both the amount of carbohydrate that you consume, and the type. In terms of amount of carbohydrate, cucumbers contain very little. A 1/2 cup of sliced raw cucumber with skin intact contains about 1.89 g of carbohydrate. Fiber provides the main source of carbohydrates in cucumbers and other non-starchy vegetables. Fiber, unlike sugar and starch carbohydrates, does not affect your blood glucose levels because it passes through your body without being broken down into sugar molecules. 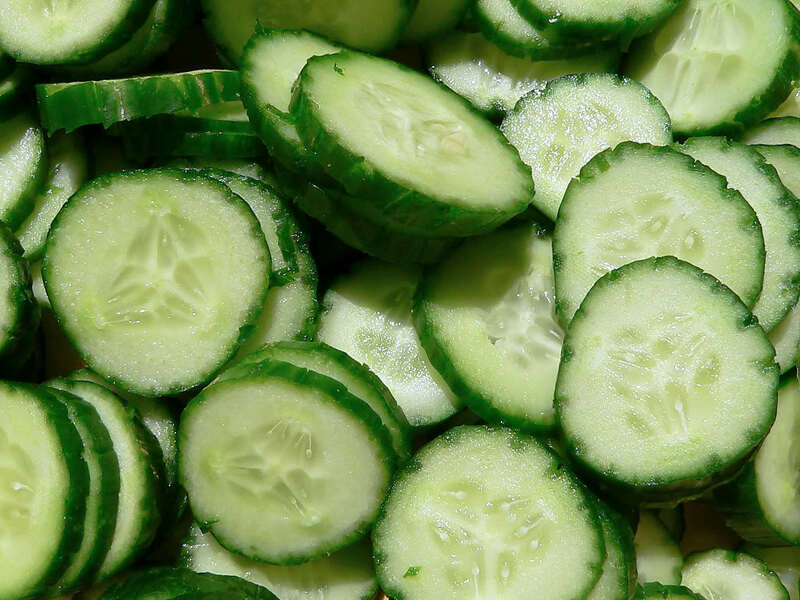 After you eat cucumbers, the food material travels to your stomach in order to be digested. During digestion, the small amounts of sugar and starch carbohydrates in cucumbers get broken down into tiny sugar molecules. The fiber carbohydrates continue to pass through and out of your body without being digested. The carbohydrates that have been converted into sugar molecules go through the lining of your stomach and get absorbed into your bloodstream. Cucumbers and all other non-starchy vegetables are an important part of a healthy, balanced diet. Cucumbers are a type of healthy carbohydrate because they are nutrient-rich, unlike carbohydrate-containing foods that are often filled with empty calories, such as foods made from refined grains and added sugars. The carbohydrates in cucumbers will provide your cells with the energy they need in order to perform their functions, without jeopardizing your blood sugar health. NextAre Indigo Children Natural Time Shifters?